This is Stillwater's original beer tasting event and this year we're adding a few spirits to the menu. We believe this to be one of the best in the Twin Cities and attendees and brewers agree. It was started and is hosted by the members of the Stillwater Sunrise Rotary Club as a way to raise money for our many service projects. We'll once again be aboard the Avalon Riverboat overlooking the beautiful St. Croix River in historic downtown Stillwater on Saturday, May 18th from 11:30am to 3:30pm. The boat does not leave the dock during the event giving attendees flexibility to come and go as they need. Your ticket gets you a commemorative tasting glass, a food item and 4 hours to sample some of the best and newest regional beers and spirits poured directly from the brewers. In addition, we'll have a malt and hops interactive booth (learn and drink) with representatives from Rahr, Mighty Axe and St. Croix Sensory. Participants love the setting, the no lines, the access to the brewers, the fellowship, the music and the cause. This list equated to over 90 different beers and spirits. Your $45 ticket buys you access to each of them and all decks of the boat. 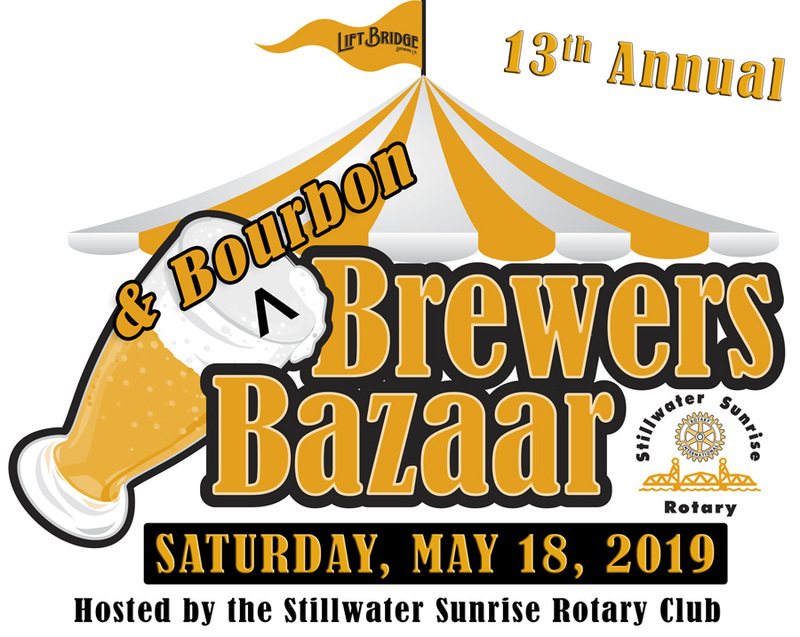 And click here to watch a short video about our terrific student mentoring program "STRIVE" which is supported by the Stillwater Sunrise Rotary Club and a portion of the money raised by the Brewers & Bourbon Bazaar.